In the United States, families with children represent about one-third of the 1.4 million people who experience sheltered homelessness each year. This paper presents findings from the Family Options Study, the first large-scale randomized trial to investigate the effects of interventions for families who experience homelessness. In 12 communities across the country, the study provided priority access to three alternative types of programs: 1) long-term rent subsidies; 2) short-term rent subsidies; and 3) project-based transitional housing. The study compares priority access to these three types of programs with assignment to a usual care group that did not receive priority access to any type of program. The study examines a wide set of outcomes and also provides estimates of the costs of all programs the families used during the three-year follow-up period. Compared to usual care, long-term rent subsidies sharply reduced homelessness and increased housing stability along with radiating benefits in other domains of family well-being, including reduced intimate partner violence, reduced adult psychological distress, reduced parent-child separation, reduced absenteeism and behavior problems for children, and increased food security. The salutary effects of long-term subsidies come at some cost – about 9 percent more than the programs used by usual care families over the full three-year follow-up period. Priority access to short-term rent subsidies led to comparable results to usual care at a 9 percent lower cost. Thus, if it is not feasible to give immediate access to long-term rent subsidies to families experiencing homelessness, short-term rent subsidies would be preferred to other interventions in common use on the basis of cost. Priority access to transitional housing was largely equivalent to usual care in outcomes at a cost about 4 percent higher. The results from the Family Options Study support the view that homelessness for families is an economic problem that access to long-term rent subsidies can alleviate. There is no support in the study for the countervailing view that families must address psychosocial problems in a supervised setting such as a transitional housing program before succeeding in conventional housing. This article was selected for the 2018 Raymond Vernon Memorial Award. Congratulations to each of the authors. Expore this, and other articles, online at Journal of Policy Analysis and Management (JPAM). APPAM invites authors from each issue to asnwer a few questions about their research to further promote the quality work in the highly-ranked research journal. Listen to this interview on The Wonk, APPAM's Policy Podcast. Find more APPAM podcasts and webinars here. What spurred your interest in this research on the impacts of interventions for those experience homelessness? Gubits: HUD was interested in learning about the effectiveness of the interventions they fund for people experiencing homelessness, but was unsure what type of study design would be possible. The research team at Abt Associates and Vanderbilt University believed that a study design using random assignment could be implemented and that this design would deliver the strongest evidence about the causal effects of the interventions. I am a methodologist specializing in random assignment studies and I also have an interest in homelessness that began thirty years ago in college when I volunteered at a homeless shelter. In my first job out of college, I was a VISTA volunteer in Southern California assisting individuals experiencing homelessness in finding work. Finally, I have particular interest in long-term housing subsidies, one of the interventions examined in the Family Options Study. In previous work for HUD, my colleagues and I had examined the effect of these housing subsidies on low-income families, also using a random assignment design. Wood: I was interested in this research for several reasons. Family homelessness is a compelling public policy problem. Despite increases in funding for homeless assistance services since the 1990s, family homelessness has remained a persistent problem. Concerns about how homelessness influences the life experiences of children makes it critical to find a solution. The U.S. Department of Housing and Urban Development sponsors a variety of homeless assistance programs and services. Despite several observational studies and examinations of the characteristics of homeless families, no previous research had directly compared alternative housing and services interventions. HUD policy makers wanted evidence about which type of assistance works best, to inform their decision making and they were willing to support a rigorous research effort to answer the question. As a policy analyst this created a unique and rewarding opportunity for me to collaborate with a diverse team of homelessness researchers, practitioners, methodologists, and survey data collection experts to design and execute a study to produce robust evidence. Finally, this study contributes to the knowledge base on housing policy, building on previous findings regarding the effects of tenant based voucher assistance and previous work I had conducted with my colleagues. As the number of families with children experiencing homelessness has grown (an increase of 13 percent since 2007 and families now represent 34 percent of people who experience sheltered homelessness), have program interventions changed to address the needs of families, as opposed to just spending growth? Wood: Yes, since the 1987 McKinney Vento Homeless Assistance Act established the foundation for today’s homeless assistance systems, HUD has developed additional services aimed particularly at meeting needs of parents with children. Many shelters have added services focused on helping families, like parenting assistance, children’s services, childcare, and shelters often coordinate with schools. Shelter conditions have also changed over time to better address needs of families. For example, some shelters have reconfigured to offer private living space rather than congregate to serve families. Gubits: Although not aimed specifically at family homelessness, perhaps the largest change in interventions over the last decade has been the widespread emergence of rapid re-housing programs, which offer short-term rent subsidies. The federal government greatly increased funding for these types of programs in 2009 with the Homeless Prevention and Rapid Rehousing Program funded under the American Recovery and Revitalization Act (aka the Stimulus Act). While that funding was temporary, the Federal government continues to fund Rapid Re-housing programs through the VA’s Supportive Services for Veteran Families program and HUD’s Continuum of Care and Emergency Solutions Grants programs. Because of the widespread adoption of short-term subsidies, this is now a common intervention available to families experiencing homelessness. Considering that long-term rent subsidies have the greatest positive impact, is there be an argument for putting available funding primarily into that intervention? If research continues to show that short-term subsidies and transitional housing having little impact, what are your thoughts on the direction policies and funding should go? Gubits: We want to be clear about what the research does and does not show. Absolutely the research shows greatest positive impact from long-term rent subsidies, greater than short-term rent subsidies, greater than transitional housing, and greater than usual care (which in our study is the mix of programs that families were able to access on their own without priority access – in other words without a reserved spot for them in a program). In our view, that’s compelling evidence to increase the supply of these subsidies for homeless families. However, we found short-term subsidies led to similar outcomes as usual care at a lower cost. This creates a rationale for funding short-term subsidies. Finally, although we did not find better outcomes for transitional housing than any other intervention, we cannot rule out the possibility that transitional housing is beneficial for some types of families. Wood: The findings on long-term subsidies suggest a clear solution to family homelessness. More broadly, the study findings reinforce the idea that homelessness for families is largely a housing affordability problem, and point to the importance of affordable housing for people with extremely low incomes. The study shows that if long term rent subsidies are not available, short-term rent assistance, or rapid rehousing costs less than the usual care available and has about the same effects. Short term rent assistance seems to be the best option if long-term assistance cannot be made more widely available. Can you speak more to the additional impacts beyond housing stability – reduction of parent-child separation, reduction of intimate partner violence, increased food security, fewer child absences from school – for families offered long-term rent subsidies verses short-term subsidies or transitional housing? Are there obvious ways for policies to have more holistic results? Wood: The idea that long-term rent subsidies would reduce homelessness is not all that surprising, but the study adds to evidence that such assistance can prevent and end homelessness. The study also shows that families who experienced homelessness can use this type of assistance and sustain it over time. The study offers surprising lessons that the benefits of priority access to long-term subsidies radiated beyond housing stability—reducing intimate partner violence, psychological distress, food insecurity, and child separations. For children, the study also shows that access to long-term subsidies reduced school moves, school absences in the short-term, and behavior problems. These findings really are quite new. Gubits: The striking thing about the long-term subsidies findings is that radiating benefits were achieved without the provision additional services. The long-term subsidies provided housing stability and allowed families to live in their own homes but were not accompanied by the type of social services that one might think would be helpful to families. As we write in the article, the fact that the radiating benefits occurred without additional social services is evidence that, for most families, homelessness is an economic problem that long-term subsidies resolve. What challenges, if any, did you find when conducting this research? How can further study overcome these challenges? Wood: Like any long-term national research study, the Family Options Study faced challenges. The study implementation offers lessons for conducting rigorous analysis in a complex service environment. The study was not conducted as a demonstration testing a specific new model but instead examined existing programs so our study team had to define the interventions to be studied and the distinguishing features to test. The study shows how important it is to be flexible in developing a research design to study existing programs. Site selection proved to be a lengthy and iterative process, requiring adaptations to local environments. The study’s also provides key lessons about making adjustments to intake and random assignment to account for varying program rules, while still achieving unbiased estimates of program impact. Gubits: This study was a major undertaking over eight years. Two huge challenges that come to mind were community recruitment and survey data collection. Twelve communities participated in the study. Housing and homeless service providers in each community had to agree to reserve program slots for families in the study. Without the commitment of these communities, the study would not have been possible. Another major challenge was collecting survey data from the study families. Collecting survey data from families who are not in stable housing is quite a challenge. The study survey team did a fantastic job staying in touch with families which allowed for high response rates to the two long follow-up surveys. How does this study impact or add to the existing research? How would you like to see your findings implemented? Gubits: This study provides clear causal evidence of the benefits of offering long-term rent subsidies to families experiencing homelessness. This study is special in that the federal government has been quick to act on the findings. Based on the study results, the Obama administration requested $8.8 billion over 10 years to provide additional long-term subsidies to families experiencing homelessness. Even though this request was not funded by Congress, it is very gratifying as a researcher to see the federal government using research in the budget process. Wood: HUD considers the Family Options Study groundbreaking, both for the power and clarity of the findings, but also for the rich set of data collected for parents and children for a three-year period after a stay in emergency shelter. The data collected for the study are available to other researchers who may want to explore a range of questions about the experiences of parents and children after an episode of homelessness. The study also offers new insights about how families in emergency shelter can use long-term housing assistance and sustain it over time. The study offers an in-depth assessment of the costs of a range of homeless assistance programs. Daniel Gubits is a Principal Associate of Social and Economic Policy at Abt Associates. He conducts research in the areas of housing, homelessness, economic self-sufficiency and disability policy. Gubits’ expertise is in econometric modeling, data analysis, and random assignment program evaluation. 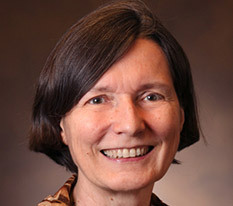 Marybeth Shinn is the Cornelius Vanderbilt Chair, Professor of Human and Organizational Developmen, at Vanderbilt University. She studies how to prevent and end homelessness and create opportunities for groups that face social exclusion. She seeks to use research to shape social policy. The 12-site Family Options study she conducted with colleagues at Abt Associates and Vanderbilt shows that offering long-term rental subsidies to families in homeless shelters not only ends homelessness for most but has radiating benefits for parents and children and reduces problems like substance abuse, domestic violence, and psychological distress that can sometimes cause homelessness. Qualitative interviews with 80 of the families across four sites helped to understand families’ experiences in the homeless service system, how they make housing decisions, and why so many parents become separated from their children. Michelle Wood is a Principal Associate of Social and Economic Policy at Abt Associates. She is the project director for the Social Security Administration’s Benefit Offset National Demonstration Project. She manages a large team, including subcontractors and consultants, to implement and evaluate a $1-for-$2 benefit offset for the Social Security Disability Insurance program. The project scope of work includes designing and executing large-scale participant outreach and recruitment, implementing secure data systems, managing complex data collection, designing a communications strategy, operating a call center, providing training and technical assistance to local agencies, and documenting the results in process, participation, net impact and cost-benefit analyses. Wood also is project director for the Family Options Study, which is examining the effects of various combinations of housing and services for homeless families on five aspects of family well-being: housing stability, self-sufficiency, adult well-being, child well-being, and family preservation. 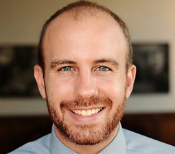 Scott R. Brown is a PhD candidate in the Department of Human and Organizational Development at Vanderbilt University. His current research focuses on how interventions for ending family homelessness affect child well-being and family involvement in the child welfare system. His broader research interests include understanding how housing contexts influence child development and maltreatment among socially and economically vulnerable families, evaluation of housing interventions, intersections between housing policy and child and family policy, and the application of rigorous social science methods to inform public policy and social service delivery. Scott is a 2016 recipient of a Doris Duke Fellowship for the Promotion of Child Well-Being. His dissertation research will focus on understanding processes by which housing interventions for families who experience homelessness may affect children’s outcomes and family involvement with the child welfare system. Samuel Dastrup is an Economist at Abt Associates. He is an experienced Applied Micro Economist with a demonstrated ability of rigorous but practical empirical research and evaluation. Leader of research teams examining the effectiveness of approaches to assisting homeless families, low-income renters, and low-income workers seeking additional training. Skilled in empirical research and evaluation, Stata, Statistics, Microsoft Excel, and experience with SQL, Perl, ArcGIS, and Matlab. Author of public-facing policy reports and summaries, technical reports for policy-makers, and peer-reviewed academic journal articles with a PhD Economics from the University of California, San Diego. 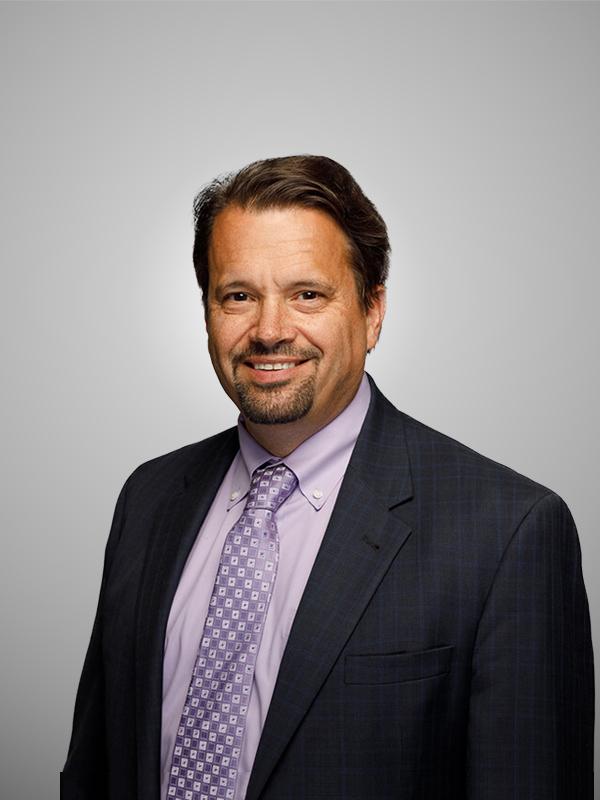 Stephen Bell is the Vice President and Associate Director at Westat. He is a senior economist with extensive experience evaluating the effects of social and market interventions on the well-being of disadvantaged Americans and poor people worldwide. Dr. Bell specializes in econometric impact analysis. He has helped design many large-scale social experiments using random assignment in the United States, the United Kingdom, and Italy. Dr. Bell is also an expert in the use of quasi-experimental estimation techniques when randomization is not possible. His recent work has focused on experimental trials of employment assistance, housing and nutrition interventions, and international agricultural development initiatives. Bell has led evaluation studies to support the U.S. Departments of Labor, Health & Human Services, Agriculture, Education, and Housing & Urban Development—as well as the U.S. Agency for International Development and the Social Security Administration.